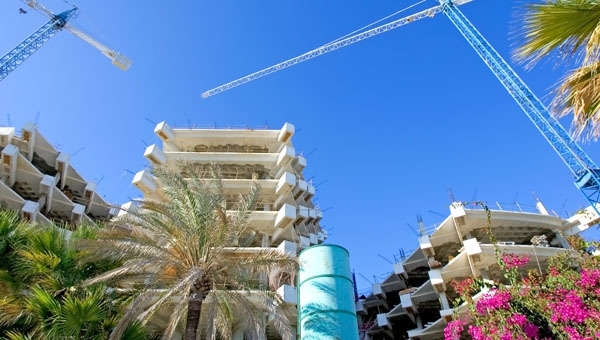 RECENTLY, I wrote about the importance of obtaining a Licencia de Primera Ocupacion (sometimes known as a Cedula) before you pay any money for your new build property in Spain. This is an essential document and you should never sign an Escritura, unless this has been issued and your lawyer has confirmed, in writing, that he has a copy. However, much the same applies to resale properties although the relevant document is called a Licencia de Segunda Ocupacion. Like the Licencia de Primera Ocupacion, this document is issued by the local town hall and, in theory, certifies that a property is legal and therefore entitled to be connected to all the necessary services, such as electricity, mains water and a land line telephone. Unfortunately, not all lawyers acting for a buyer apply for a Licencia de Segunda Ocupacion during their conveyancing of a resale property and few buyers know about its importance sufficiently well to insist upon it being an inherent part of the conveyancing process. As a consequence, it is not uncommon to find property owners with very significant problems with their properties and sometimes potentially considerable financial liabilities. Indeed, being unable to obtain a Licencia de Segunda Ocupacion should act as a ‘red flag’ to you, as a buyer. It indicates that your intended property may be subject to infrastructure works (‘Land Grab’) and certainly means that obtaining mains water, mains electricity or a land line will be impossible, should the property lack any (or all) of these services. Furthermore, it may mean that the property concerned has serious legality issues. Over the past few weeks, I have been contacted by several people who have fallen foul of buying a resale property that lacked a Licencia de Segunda Ocupacion. In one case, the owner concerned had her water meter removed, could not obtain a Licencia de Segunda Ocupacion and never got connected to the mains. She had to sell her property at a significant loss (still with no water supply) and ended up having a nervous breakdown. Equally, over the past few months, Iberdrola have been threatening to cut off the electricity of a number of properties in my own general area because they are still on ‘builder’s electrics’. Iberdrola have stated that they will not continue supplying electricity to the home owners, unless they can provide a Licencia de Segunda Ocupacion. This is something that many town halls will not issue unless a property has been fully urbanised (i.e. it is situated in an area with street lighting, pavements, mains drainage, mains water, electricity, land line telephone etc.). In fact, many old housing estates in Spain are only partly urbanised, which can make life tricky for foreign buyers, who may be ill advised by their lawyer or agent and think that their property is free from potential liabilities just because it is located on an estate. This is not always the case. If an estate has not been fully urbanised then the owners of properties will have to pay for the costs of completing the urbanisation infrastructure. You may already have mains water, electricity and landline telephones but this does not mean that your area has been fully urbanised. Pavements may be missing, street lighting absent and mains drainage lacking. The cost of any or all of these will fall upon you should your local authority decide to install them. The Licencia de Segunda Ocupacion is far from a property buyer’s problem ‘catch all’ and you must not consider it as such. However, being unable to obtain it should be an indication that all is not well with your intended property. Equally, if you do obtain a Licencia de Segunda Ocupación then check carefully what it says, as it may contain some important caveats. So, if you are a cautious buyer (and you should be) always ask your lawyer to apply for a Licencia de Segunda Ocupación and, if one cannot be obtained, find out exactly why. You may save yourself thousands of Euros and some serious problems.